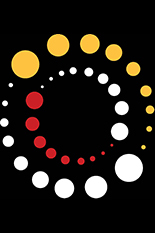 NanoDay is a scientific conference hosted by the Maryland NanoCenter on the campus of the University of Maryland. This year’s themes are the materials genome, nano-bioscience and electron microscopy. Space for posters is limited, so submit your title and summary now. A small scientific sorting committee will check for correct classification and scientific suitability. Presenters will be notified when their paper is accepted. May 23 – Submissions will close if limit is not already reached.